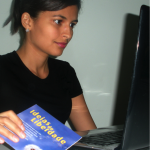 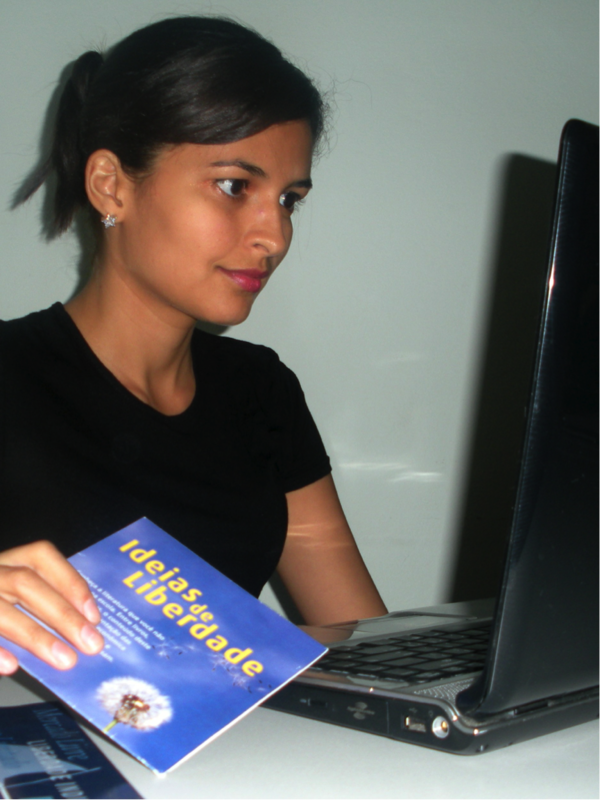 A DVD in Portuguese was produced by www.ordemlivre.org, Atlas’ Portuguese platform, along the lines of the CD in English “Ideas for a Free Society”. 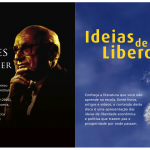 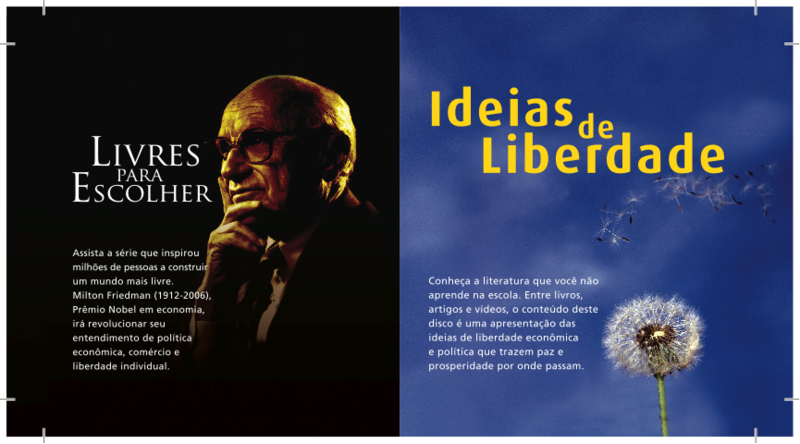 It includes the film by Milton Friedman, “Free To Choose” plus many great classical liberal texts in Portuguese. 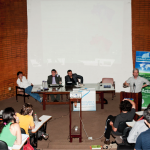 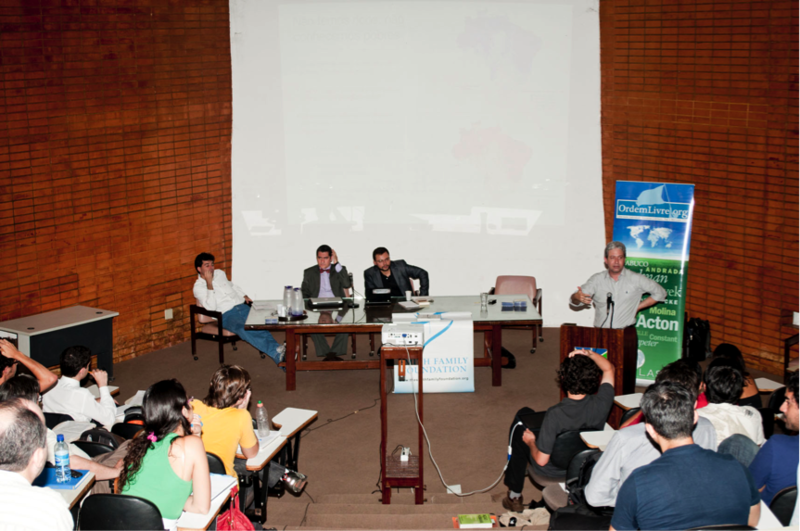 The DVD was launched in three Brazilian cities during the Freedom of the Road Campaign in late 2010, Recife, at the Federal University of Pernambuco; Brasília, at University of Brasilia and Belo Horizonte, at Forum da Liberdade. 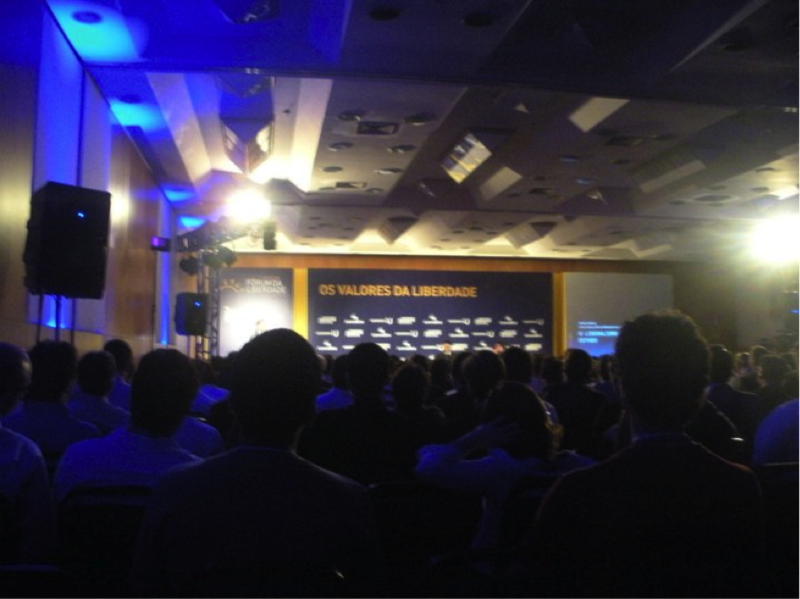 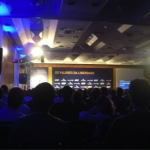 A total of over 400 discs were distributed at the first two meetings and then the team went onto the Forum da Liberdade in Porto Alegre, the largest classical liberal event in the country. 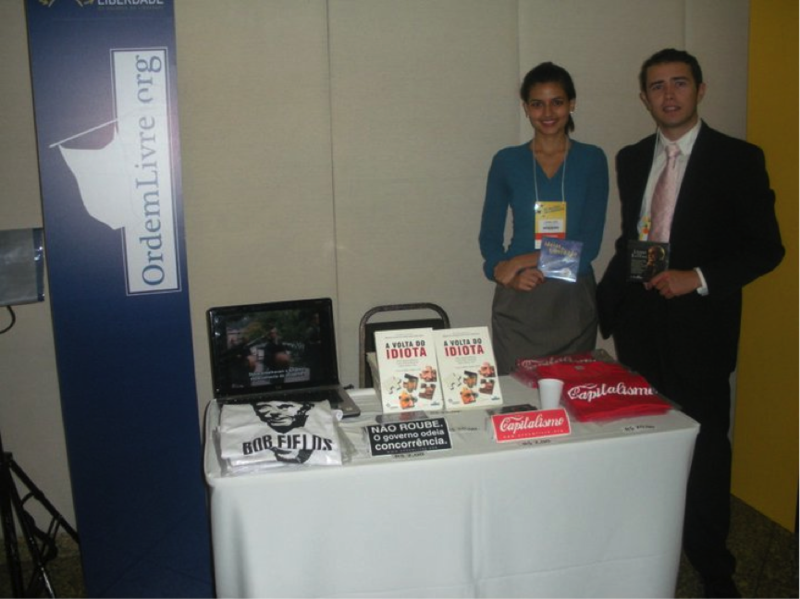 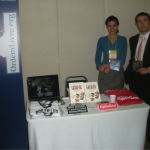 It attracts crowds of around 4000 visitors over the two days and OrdemLivre.org had a booth from which they distributed the DVDs and their books.